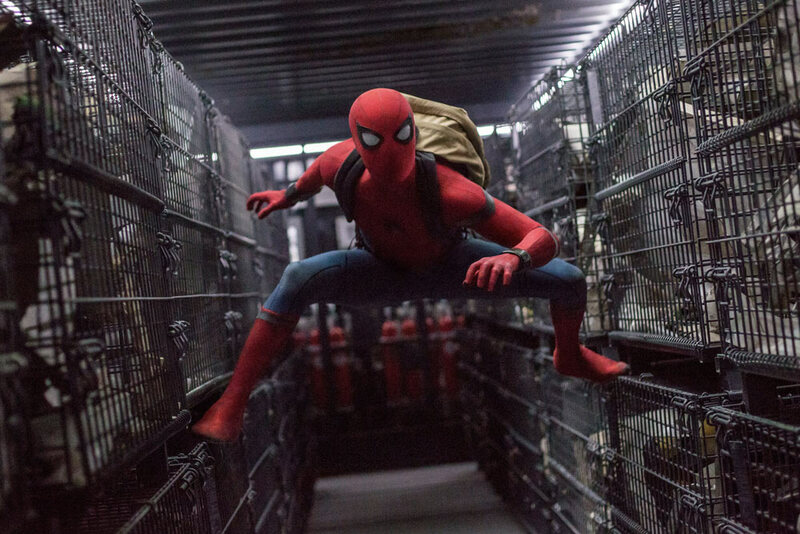 Spider-Man: Homecoming is the first solo outing of Spider-Man in the M.C.U. The cinematic universe to which all of the Avengers related movies belong. Spider-man always was Marvel’s biggest property, but the rights to the character belong to Sony. Sony made 2 good Spider-Man movies, 2 bad Spider-man movies and somewhere in the middle is the Amazing Spider-Man reboot from 2012. Spider-man’s inclusion was one of the biggest surprises of the stellar Captain America: Civil War. After tens years of mediocre and bad Spider-man movies, everybody is curious if Marvel can get the character back on the track again. 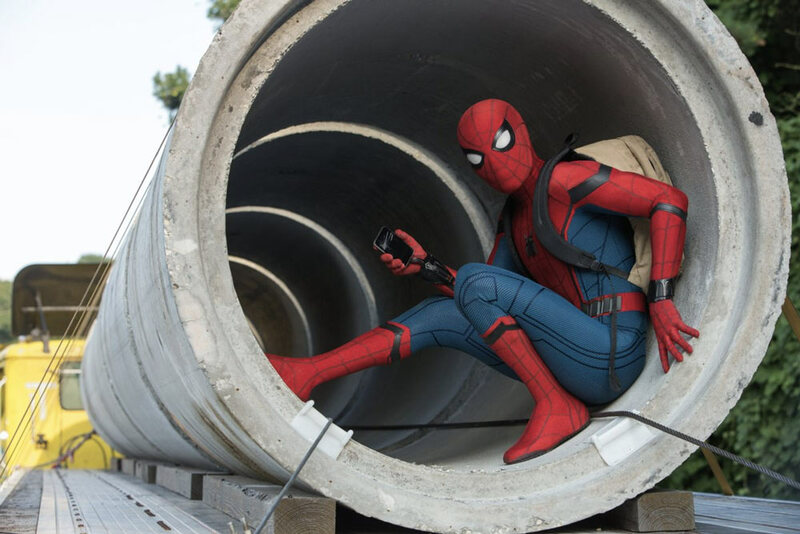 They succeeeded as Spider-Man: Homecoming is the most fun outing of the character since the first Sam Raimi movie. I think the second movie, also by Raimi, is still the best one, but this movie is lighter on the drama. This makes it a more fun experience. And fun is something that his character desperately needed after the two way too serious Amazing Spider-man movies. Marvel has a certain strategy that seems to pay off almost every time. Unlike most movie studios they don’t make superhero movies. They make movies that belong to different genres, but that just so happen to star superheroes. Captain America: The First Avenger is a period movie, Thor a Shakespearean drama, Guardians of the Galaxy a space opera, Ant-Man a heist movie and Spider-Man: Homecoming a high school coming of age movie. If this movie was made in the 80s, it would probably have been directed by John Hughes and star Molly Ringwald as M.J. The Spider-Man/Peter Parker that was introduced in Captain America: Civil War is just a kid. A 15 year old kid who goes to high school, lives with his aunt in Brooklyn and just so happens to have super powers due to the bite of a radioactive spider. He’s young, excitable and watches videos of himself as Spider-Man on YouTube. At school he’s a bit socially awkward. The nerd, who hangs around with similar kids like Ned. They do nerdy things together like build the Lego Death Star. My guess is they go to Comic-con together as well, but that would be too meta for Marvel at this point. More likely a scenario that will probably pop up in one of the Deadpool sequels. Peter desperately wants to be an official member of the Avengers. With the powers he has, he feels school is beneath him and wants more out of life than just being a friendly neighborhood Spider-Man. Tony Stark, an elongated cameo by Robert Downey Jr., doesn’t see it that way. While he’s supportive of Peter’s ambition and his local crime fighting, he positions himself as the father Peter doesn’t have. He knows this is just a kid with a tendency to get in over his head and he actually acts like a concerned parent. While Downey still plays Stark with the usual swagger, this is one of his more 3-dimensional outings. Even though he has about 7 minutes of screen time total. Spider-man’s main foe in this movie is a classic Spider-man villain: The Vulture/Adrian Toomes. He is a blue collar worker who gets stiffed by Stark and the government right after the events of the first Avengers movie. He starts an illegal venture as an underground arms dealer selling weapons made from alien technology he steals. When Spider-Man comes across these weapons while trying to foil an ATM robbery, he sees an opportunity to prove his worth in the eyes of Stark. In the comic The Vulture is a geriatric guy in a skin tight suits with wings. 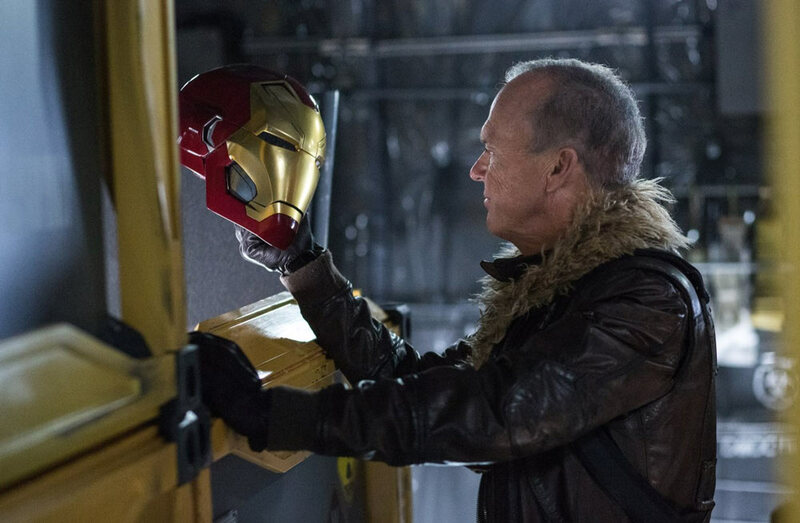 They ditched that look in favor of Michael Keaton in a jacket with giant metallic wings granting him the ability to fly as well as firepower. One of the biggest problem with 2014’s The Amazing Spider-Man 2 were the sheer amount of villains and world building it tried to do. That movie was supposed to be the beginning of a Spider-Man universe paving the way for movies about Venom and the Sinister Six. It features villains like Electro, The Green Goblin and Rhino as well as hints to several other characters. Just like Sam Raimi’s Spider-Man 3, the movie collapsed under all these characters. So you will be glad to hear that Spider-Man: Homecoming features not only The Vulture, but Shocker, Tinkerer and Scorpion as well. But it works and for one simple reason: these villains all work together. There are no multiple story-lines going on. The Vulture is the crime boss, with Shocker as his #1 henchman. The Tinkerer is an inventor who makes the weapons and Scorpion is a client. Both Tinkerer and Scorpion are not even super villains, they both are plain humans without suits or special weaponry. They are simply here as a fan service. And maybe for future installments. Who knows? Speaking of fans: it does not take much to piss them off. Change the slightest element to a beloved property and they will turn on you. Keeping up with the diversity trend Spider-Man: Homecoming does take a leap of faith with the fans when it comes to casting. Peter Parker almost seems like he’s the only white kid at school. When he was created in the 60s, Spider-Man’s friends and foes where mostly white. Not anymore in 2018. Ned is Asian, Flash Thompson is now an Indian and both Liz and Michelle seem to be bi-racial. The teachers are black and the headmaster is also of Asian descent. This does feel somewhat forced, but not as forced as in the live-action Beauty And The Beast movie. While the casting is great and all of the actors do a fine job, it does not feel like it’s based entirely on the comic book a grew up with. Then again, this movie stands on its own and I should not let it be bogged down by my feelings of nostalgia. Not that there is a lot of it. I for one never minded the organic web shooters from the Raimi Spider-Man movies. But a none-redhead M.J.? That’s pushing it. One of the complaints often heard about the MCU is how their villains are rather weak. I don’t disagree as most of them are not really memorable or have weak archs. I do think the Vulture is decently developed. Especially his motivation struck a chord. He is right and his justification for selling weapons was spot on. Without the arm deals that made Stark his fortune, Spider-Man would have no hi-tech suit. With this being largely a coming-of-age movie, I hope they keep evolving the character of Peter Parker. While this is a nice fresh take on the character, the approach to this character is like that of a kid in a toy store. 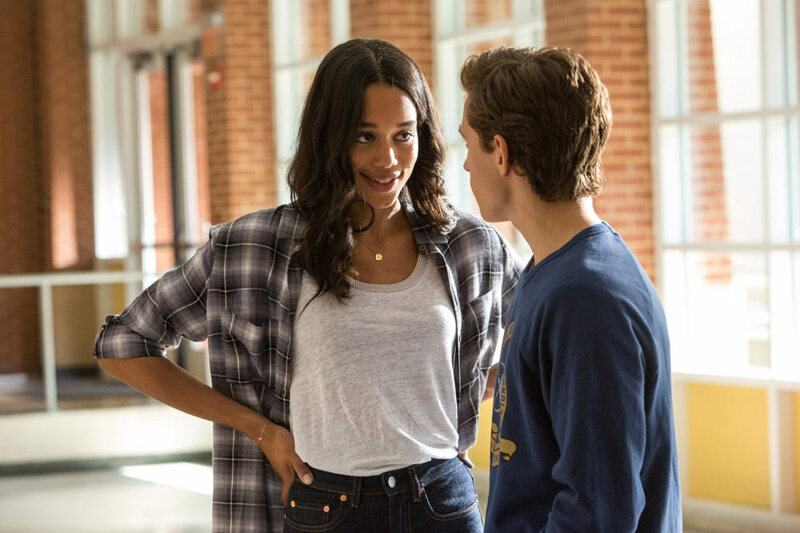 Occasionally I felt Tom Holland’s Peter was tiresome. It fits the profile of a 15 year old who is growing up. I do hope he is a bit less excitable in the upcoming movies. Spider-Man: Homecoming is a fun movie. I keep on using the word fun, because it’s not a very deep or moving movie. It’s like 16 Candles, but with a guy being able to sling through New York between skyscrapers. It’s also a tad overlong as the movie takes its time to get to the final showdown between Spider-Man and The Vulture. But not before we get to teen parties, detention, a trip to Washington and of course the homecoming dance. Throw in the required action and villain scenes and you have a pretty crowded movie.